After playing in South Africa at CTEMF last year in February, the Baron of techno Dave Clarke returns to Cape Town for an exclusive one-night only on Friday the 16th. Dave Clarke is one of the most iconic figures in techno, and has been an anchor of the industry since 1990. Pushing forward not only sounds, but technological advances as well, he’s released on XL, Skint, R&S and many others. His Red trilogy on Bush Records is named one of the Top 100 All-Time techno albums by DJ Mag. And with his strong anarchist streak and an anti-establishment outlook, it's not surprising that he has made his mark on the genre. Having played Awakenings, Pukkelpop and Glastonbury, he also runs the Arch stage at Tomorrowland where he’s hosted names like Seth Troxler, Jeff Mills and Ben Klock for over seven years. 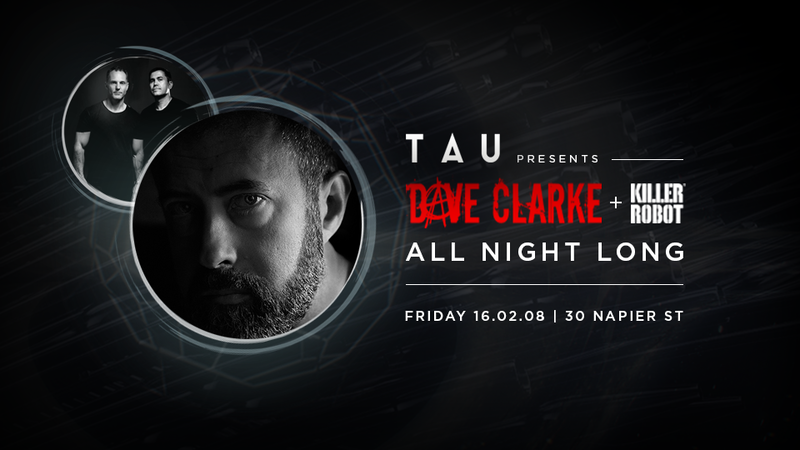 Dave Clarke will be holding it down at Tau on Friday 16th, with local stalwarts Killer Robot supporting the techno don right through the night.